Bianca Andreescu might not have gotten the win on her Tuesday night match versus Timea Babos, but she competed admirably and showed just why so many are excited for her future. 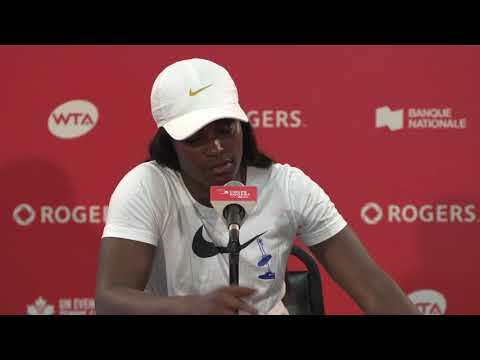 The 17-year-old, born in Mississauga, held her own throughout the first set and kept things tight with Babos, who despite climbing as high as World No.25 last season has struggled with her form this year. Nevertheless, the 5’10” Hungarian presents a tough challenge for any player and Andreescu was unable to wrestle control in the important moments, succumbing 6-4, 6-1 in 1 hour and 15 minutes. The match wasn’t without its highlights for Andreescu, who will certainly look to build upon this year’s Rogers Cup main draw debut in what has already been a successful freshman year on the WTA Tour. Former World No.1 and 2010 Rogers Cup champion Caroline Wozniacki took to court for the final match of the day, playing qualifier Ekaterina Alexandrova of Russia. 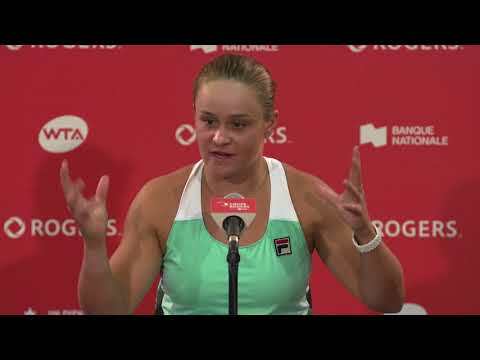 In what was her first win ever in Toronto (her past tournament wins have all come in Montreal), she swept past Alexandrova 6-3, 6-0 – and admitted she was a little nervous closing it out! Earlier in the day, WTA Fan Favourite Agnieszka Radwanska eased past last week’s Bank of the West finalist Coco Vandeweghe 6-3, 6-2, improving her win-loss record against the American to 5-1. Out on Grandstand, No.5 seed Elina Svitolina overcame a tricky encounter with Daria Kasatkina, who just yesterday produced one of the shots of the tournament. Svitolina sealed a tight first set with the 20-year-old Russian, and won six games in a row from 0-4 down in the second to complete a 7-6(5), 6-4 victory.